As a Zumba instructor I know how important it is to work the whole body, meaning not just cardio for heart health, but also strength training for muscle mass, bone density & metabolism. Did you know that the only way to change your metabolism is to perform resistance or strength training? So why not join me on Wednesday nights 6:00 pm at 24 Hour Fitness – Alamo (near Safeway). Body Pump enhances muscle endurance by using low weights & high repetitions. This entry was posted on May 31, 2015 at 2:32 pm	and is filed under Fitness. 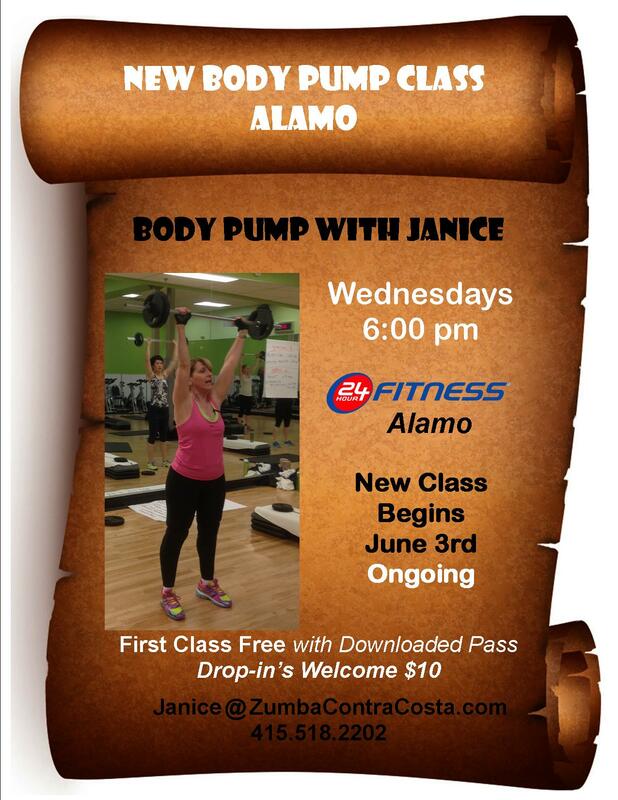 Tagged: 24 Hour Fitness - Alamo, body pump, muscle endurance, strength training. You can follow any responses to this entry through the RSS 2.0 feed. You can leave a response, or trackback from your own site.